Walmart has a great coupon policy that allows overage on your coupon. So, if a coupon is for $1/1 and the item is sold for $0.50 at Walmart, you would get a $0.50 overage. You can receive it as cash back or to be used for the rest of the items in your cart. We will match any local competitor’s advertised price. We do not require customers to have the ad with them to honor a competitor’s ad. 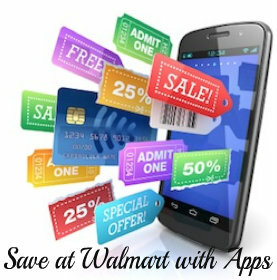 Beside the price match guarantee, Walmart will also accept some competitor coupons. 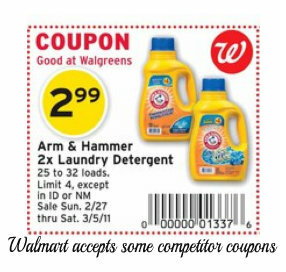 The competitor coupon must first be a local competitor. 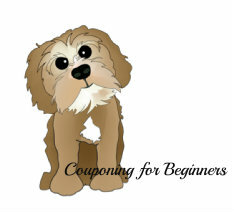 The competitor coupon will only be accepted for a specific priced item similar to one above. They will not accept a competitor coupon for cents off or a percentage off. Walmart will also accept a competitor Buy One Get One Free coupon as long has there is a price listed. Ibotta eCoupons – Ibotta is an app for your smartphone. You earn money by taking a quick poll, watch a short video or even just looking at a recipe. Each action will earn you more money once you purchase that item. Purchase the product as you normally would. Using coupons will not have any effect on your ibotta offers. If you like, you can even scan the products barcode through the Ibotta app to be sure you are purchasing the correct product. Once you have made your purchase, you simply take a photo of your receipt through the app. The amount of the coupon will be deposited into your Ibotta account.